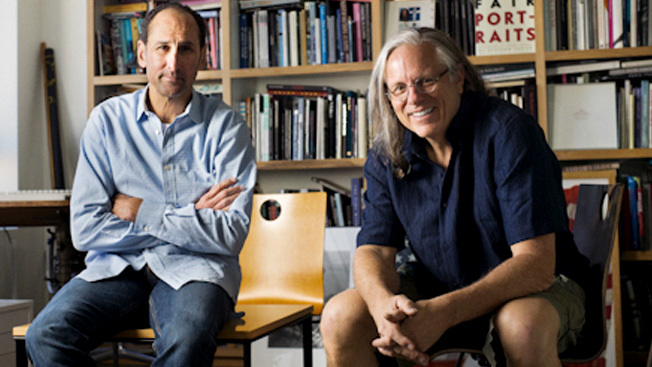 The Cannes Lions International Festival of Creativity has today announced that Jeff Goodby (right) and Rich Silverstein (left), founders of Goodby Silverstein & Partners, will be honoured with the Lion of St. Mark Award at the 2019 Festival. Both men started their careers in journalism, Goodby as a reporter and illustrator at The Boston Herald American, Time Magazine, and Mother Jones, and Silverstein as an art director in the heyday of Rolling Stone Magazine. After meeting at Ogilvy & Mather under Hal Riney, they started GS&P with Andy Berlin in 1983 and won their first Cannes Lion for the Mill Valley Film Festival. They went on to win numerous Lions across all metals and brand categories, encompassing an unprecedented variety of styles. Campaigns included: ‘Got Milk?’, the Budweiser lizards, ‘Invent’ for Hewlett-Packard, the E*Trade chimpanzee, Polaroid’s ‘See What Develop’, NBA’s ‘I love this game’, ‘Skateboarding’ for Nike and campaigns for Sega Games. Since 2000, the agency has excelled at creating work that transcends media. Most recently GS&P received Gold Lions for ‘I am a Witness’ (the first emoji for a social cause), the ‘Dreams of Dali’ VR experience, Chevrolet’s Sonic Launch with OKGO, and Cheetos Museum. Much of GS&P’s work has entered into the permanent collection of the Museum of Modern Art in New York. Named Adweek’s Executives of the Decade, Goodby and Silverstein have had an effect on advertising that can be seen particularly in the leaders they have created and mentored, many of whom have successfully started their own agencies. GS&P’s creative alumni include Gerry Graf (founder of Barton F. Graf), Fred Raillard and Farid Mokart (of Fred & Farid), Paul Venables (founder of Venables Bell & Partners), Jamie Barrett (founder of barrettSF) and leaders like Chris Beresford-Hill (CCO of TBWA\Chiat\Day New York), Steve Simpson (CCO of Ogilvy & Mather North America), and Karin Onsager-Birch (CCO of FCB West). In 2005 Goodby was jury president of the Titanium Lions Jury, he presided over the Film, Press & Outdoor Lions Jury in 2002 and served on the Film Lions Jury in 1993. In 2009 Silverstein served on the Titanium and Integrated Lions Jury. Both Goodby and Silverstein will take part in an interview hosted by Philip Thomas during the Festival in Cannes, and the presentation of the Lion of St. Mark will take place during the final Awards Show on Friday 21 June. Further information about the Festival is available at canneslions.com.